A Kentucky author’s plaintive debut tells the story of coal miner Clay Sizemore’s efforts to understand and possess his own history, shattered when he was a three-year-old present at his own mother’s murder. 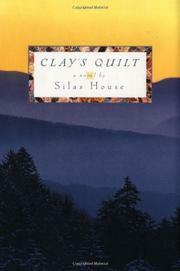 The novel segues between Clay’s relationships with loving kinfolk and his growing affection for Alma Asher, the divorced woman he hopefully marries—its separate fragments intended to cohere into a “quilt” (of sorts) that will clarify the pattern of Clay’s life. This is Wendell Berry territory, and House doesn’t really take us anywhere we haven’t already been—but his secondary characters (such as Clay’s hell-raising cousin Cake and his gentle, visionary Aunt Easter) are lively and likable. And there are some stunningly beautiful moments (e.g., “When the lightning flashed, he imagined he could see all of the dead people he had ever known of, standing in line down the road”). An appealing and promising debut.